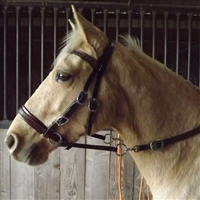 SupraCinch Crest Ridge Saddlery designed this 4 point all terrain horse breast collar. 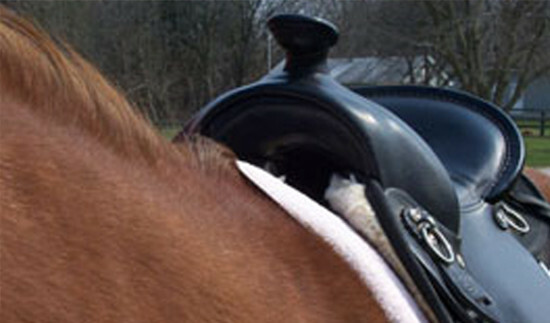 The unique method of 4 even points for attachment prevents interference, allowing the horse free range of motion while securing the saddle to enable you to traverse even the roughest terrain with confidence. Stops the saddle from slipping towards the rear. Two sizes: Cob 46” to 55”; Regular 51” to 60” 3/4" black wool felt saddle pad with a spinal relief cut out and wear leather. 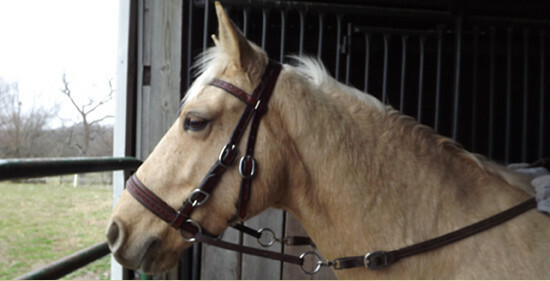 The Renegade is our basic head stall. 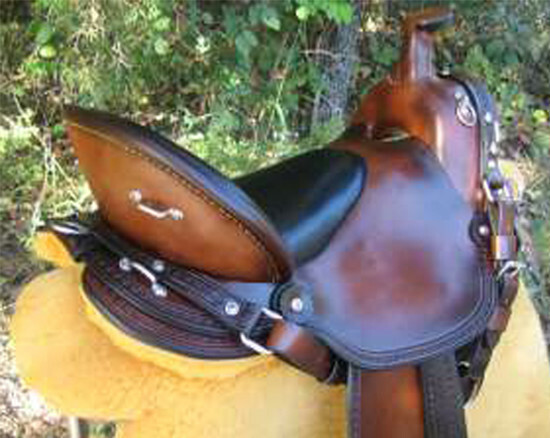 It is highly adjustable and features Crest Ridge Saddlery's commitment to quality. This head stall is highly adjustable, fitting horses and mules measuring: Lip-to-Lip: 36 - 50" Throat Latch: 31-40" Brow Band: 15" Bitless bridle headstall 3/4" black wool felt saddle pad with a spinal relief cut out and wear leather. The Ovation is our best selling part synthetic saddle. Lightweight, and built to last by Amish master craftsmen using the finest materials. 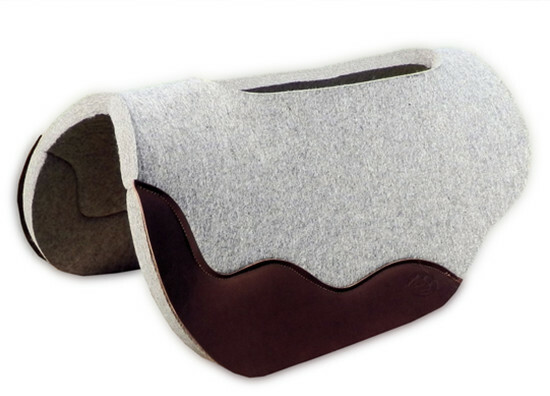 The Ovation Lite features a design that fits the average horse and rider well. The Sinclair is our Plantation saddle model. 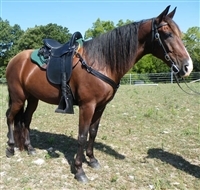 The Sentry is our best selling Western trail saddle. Built to last by Amish master craftsmen using the finest materials. Excellent for gaited horses.